In many communities there are industry players with major buying power: hospitals, municipalities, schools, manufacturing, etc. The problem is that the well-intentioned programs created to support startups do a poor job actually creating sustainable startups. It’s not the fault of the program. The community needs to carry a bit of the burden. The community needs to adopt a Try Local mindset that offers pilot opportunities for early stage ventures. If we look at the startup cycle in four clear steps — conceive it, build it, prove it and scale it — most communities get excited and feel like the job is finished after only the first two of those steps. Many current ecosystems fall short in connecting entrepreneurs and innovations to actual customers (there is rarely a “prove it” function currently available). Subsequently, the capital resources available earlier in the process represent significantly greater risk and cost the founders a larger stake in the venture. In an effort to attract less expensive capital, communities need to stop simply being supportive; they need to be early adopters, first customers and potential proof of concept partners. You will never have a region full of Fortune 500 companies if you don’t start by fostering Inc. 5000 Fastest Growing Companies. Imagine a community that promotes itself as The Nation’s Test Market. A community that creates pilot projects for locally developed or locally based innovators. 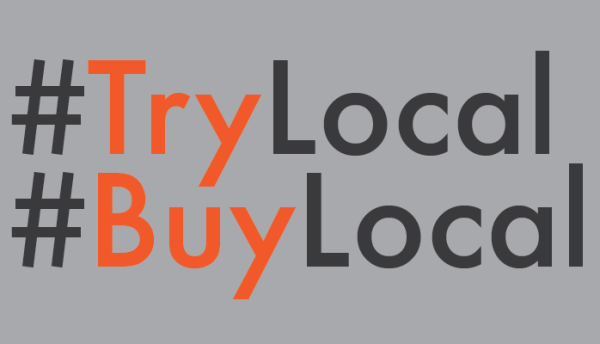 While many communities promote Buy Local campaigns, a willingness to try something is a necessary psychological and behavioral precursor to purchase. Communities can take an innovative approach to remove barriers to trial and increase community engagement with a Try Local mindset that creates beta testers. Communities that want to be supportive need to do so with clear behaviors. They need behaviors that let the startups know that there is a culture willing to take risks. They need behaviors that let startups know that they might be able to grow their business with revenue from local customers. They need behaviors that let startups seek capital for fulfilling demand instead of capital to create demand. Stop being willing to support and start being willing to buy. I got all PowerPointy and fleshed out this idea a bit more. This commentary was originally posted on Medium.